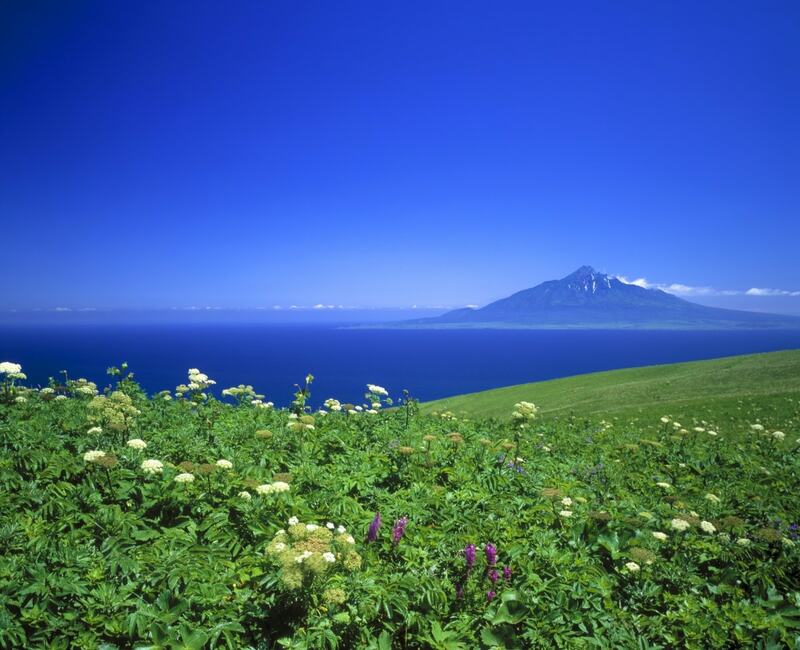 Hokkaido is a must-visit place for nature lovers. After its harsh and snowy winters, the land shows off tulips in spring, lavender fields in summer, cosmos in autumn and many more colorful flowers throughout the year. It’s a land of flowers and beautiful scenery that can’t be found on the main island of Honshu. Here we offer eight of our favorites. Rebun Island is one of the northernmost points in Japan and is part of the Rishiri-Rebun-Sarobetsu National Park. Rebun Island is home to more than 300 kinds of alpine flowers, including the rare orchid variety rebunense (Rebun lady’s slipper orchid) and other flowers found only on this island. It’s known as the Floating Islands of Flowers because its higher latitude allows such flower varieties, which are in season from May through August. Rebun is a great destination for those who want to get their flower-peeping and hiking in at the same time. Visit the Momoiwa Observatory Deck to see the wildflowers, and on clear days Mount Rishiri is visible, too. In Hokkaido, the port city of Otaru is known as “the town of hills.” Otaru’s views do not disappoint, no matter what season it is. Summer here is particularly special, especially at ONZE Harukayama, a great hillside park. At ONZE Harukayama, what is a ski area in winter is transformed into a vibrant lily garden in July and August. Take a lift to the park’s mountain peak and take in the panoramic vistas of Ishikari Bay to the north and the skyline of Sapporo City to the east. If you’re low on time, you can take the lift back down the mountain, but we recommend taking the flower walk that weaves downhill through the flower fields. Shichiku Garden in Obihiro City is a great destination for garden lovers. This large garden was created and is run by 83-year-old “flower-blooming grandma” Akiyo Shichiku, who is often seen walking the garden in her boisterous floral blouses. The property is composed of several smaller theme gardens, such as an English garden, a rose and clematis garden, and a lotus pond that inspires comparisons to Monet’s famous paintings. Shichiku Garden is open year-round, and its 2,500 flower varieties ensure the garden is a treat in all seasons. 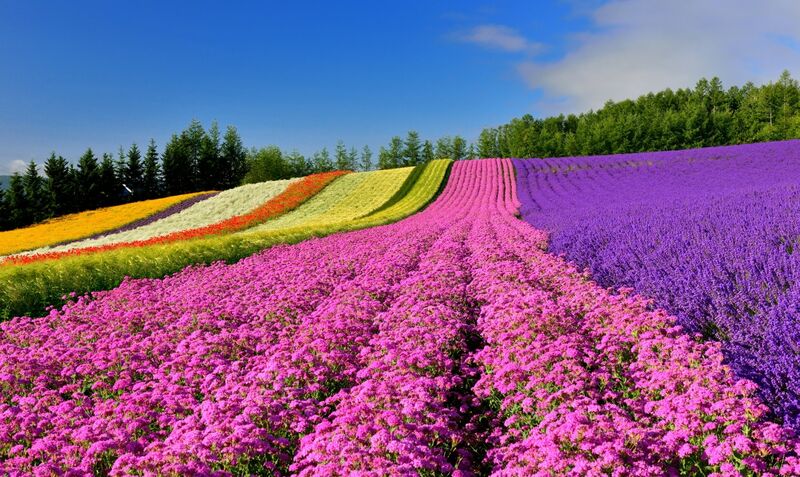 Central Hokkaido is perhaps best known for its picturesque lavender fields. In Biei City, these vast swaths of lavender meet the nearby Tokaichi volcanic mountain range. Here in Biei, Zerubu Hill is a splendid sightseeing spot for the purple herb and many annual flowers, such as sunflowers, petunias and marigolds. The entrance of Zerubu Hill is almost iconic: concentric colorful semicircles draw eyes toward the welcome sign, and then beyond to the peaks of Daisetsuzan National Park. Blooming season is from May to October. Speaking of lavender, Furano City, just south of Zerubu Hill above, is where tourists go to get their lavender fix. Even though the lavender blooming season is relatively short—just July and August—this city is very popular that there are more than one million visitors a year. This violet garden spreads out in every direction. Aside from lavenders, there are also cosmos and dahlia. And it’s all free! Known for its splendid tulip vistas, this park is located in the southern reaches of Sapporo City. The main area, known as “The Hill of Wind,” is filled with blooming tulips in the spring and cosmos in the fall. The park then transforms into a ski area when winter comes. This garden is located in the town of Kamikawa just north of the Daisetsuzan Mountain Range. More than 700 kinds of flowers bloom here throughout the year. Features include a flower bed in the middle of a forest called Mori no Hanazono, an outdoor cafe and a concert hall called Mori no Geihinkan. 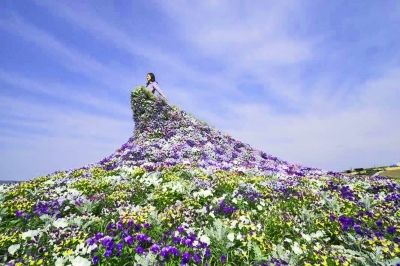 The most popular photo spot by far, however, is Dress Garden Kante (where kante is the Japanese term for a ski jump ramp). Located in the north of Sapporo, Yurigahara Park offers more than 100 kinds of lilies, augmented with tulips, roses, lilacs, dahlias and other colorful flowers lined up along the route. You’re free to walk through the garden and take pictures without charge, or you can pay the fare for a ride on the sightseeing Lily Train. All About's Hokkaido expert. He's also got a thing for feng shui.